Simteractive was shortlisted for the 2014 ESB Spark of Genius contest. 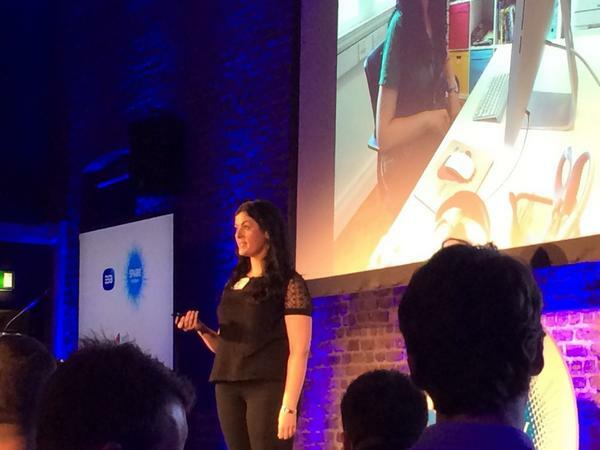 We were one of 30 startups selected to compete in the semi-final at NDRC on Wednesday 17th September. There was a great atmosphere on the night with a really high standard of startups presenting (and really cool mood lighting!). Unfortunately we weren’t one of the three finalists selected to present at the Web Summit in November. That honour went to Love & Robots, TenderScout and Restored Hearing. Huge congrats to all three finalists and to our fellow semi-finalists! Thanks to @taravanzyl of @iCostumeApp for the photo!